my interest to learn that a group of young actors from the Lone Star State was being so honored with a couple of weeks to perform in America’s capital city for theatre. I learned the musical to be performed was an original one by Houston playwright/producer, Chance McClain, known to many as one of the founders of Houston’s first independent sports radio station, 1560 The Game. 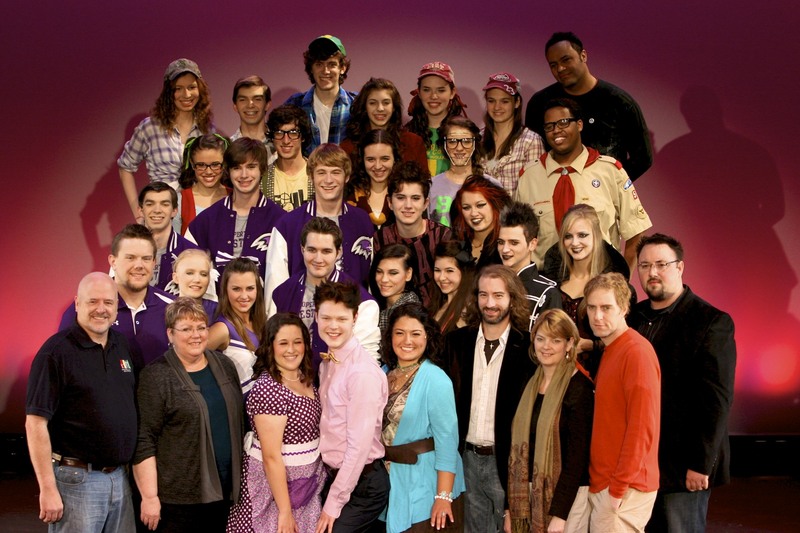 With music, lyrics and direction from McClain, the show would be called KISSLESS, and the dream would be to find a way to finance not only the production itself for Houston area performances, but to cover the enormous costs of such an extended trip to The Big Apple for a cast of nearly thirty, along with production staff and crew. That’s no small order for one of the nation’s most expensive cities. The success of those efforts in providing such a great experience for the young actors involved constitutes the real miracle that Mr. McClain and his associates made possible. Perhaps part of the secret is revealed in McClain’s “Author’s Forward” in the show’s printed program. He opens with the words, “I’m a pretty positive guy.” That must surely have been the case if he was able to organize and carry off the weeks of such an expedition that included not only time for rehearsals, but performances extending from September 28th to October 8th. As for those production finances, it would be best to keep in mind another of McClain’s cautions in his forward to the program: “Please read the entire program and know that every name in it deserves so much more than the simple acknowledgement afforded in a show program.” In following his directive I noted the contributions of Associate Producer, Kevin Lambert, co-directors, Sam Brown and Ilich Guardiola, Music Director, Stephen W. Jones, Choreographer, Ellen Dyer, Assistant Director, Sammy Green, music arrangers, Kevin Ryan, Frank Bullington and Bryan Ford. But something even more stunning caught my eye. There were literally hundreds of financial contributors listed in the program. What an incredible indication of the generous community support these youngsters had from the city of Houston. That was another part of the miracle. Galindo). Derek is mortified that his cool buddies will learn a Goth is living in his home. Adding to the confusion are Derek’s flighty mom (Megan Blackmon) and his blustering dad (Cameron Worthen), the team coach. As the action unfolds, friends reject friends, cliques get angry with cliques, dialogue is routinely shouted, and an assortment of disappointing songs are sung too loudly on an essentially bare set that depends on backstage slide projections to suggest locations. These elements do not combine to create theatrical magic. Mr. McClain’s bio in the program declares he has written “hundreds of forgettable songs,” and there are many here that audience members would notbe humming on the way home. There were encouraging moments like the country-flavored, “Secret Love.” (Not to be confused with that same title from Doris Day or Stevie Nicks). Then there was the more upbeat “Ladida” finale, which was another cheerful exception while being led by the flaky psychiatrist, Dr. Spinks, humorously played by Tyce Green. But heck, look at all these kids who had the time of their lives on such a grand adventure in New York City. Why am I complaining? This entry was posted in Broadway, Miscellaneous Reviews, Theater Reviews and tagged Broadway, Entertainment, Houston, Kissless, musicals, New York, New York Musical Festival, plays, Reviews, Texas, theatre. Bookmark the permalink.